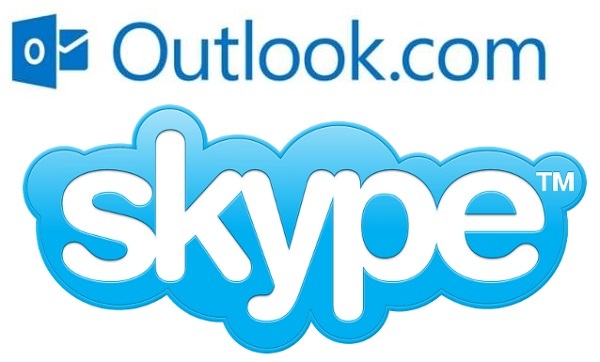 Now that Microsoft has decided to make Lync and Skype see eye-to-eye and even make friends with Google Android as declared at a recent Microsoft Lync Conference back in February 2014, it only seemed fair that they’d begin via doing an improvement of Microsoft Outlook with Skype. A recently refreshed free Browser plug-in that marries Skype and Microsoft Outlook email Service makes Skype Voice and Video calls in HD on Google Chrome, Firefox and Internet Explorer 8 possible. Apple Mac users rejoice; this also goes for you too. I suspect, however, this update of a plug-in that was launched back in March 2013 may be a quiet response to WhatsApp going VoIP Calling, a step up from their previous offer of Voice Notes. WhatsApp has truly be a busy little bee since Facebook acquired them for US$19 billion; apparently becoming an MNVO (Mobile Network Virtual Operator) to help Travellers make free International Calls and Premium Paid Business HD Voice Calls is their way of earning their keep. Still I’m sticking to my guns as it relates to my prediction that BBM, which already has VoIP, will eventually beat WhatsApp as predicted in WhatsApp popularity fading as BBM’s the most downloaded IM App on iOS. With that coming competition, Microsoft, owners of Skype and its brand, are taking no chances and thus unleashed this free plugin upon us forgotten souls who wanna make HD Video Calls without committing to installing Skype (people like myself love this!). There is just one caveat; you have to join Microsoft Outlook and sign up for a free email account. It’s not as bad as you might think as you also get a free 7GB Microsoft OneDrive Account with additional 5GB added on when you successfully refer someone to Microsoft OneDrive. Formerly SkyDrive, the online Cloud Storage Service from Microsoft got a reboot when Sky Broadcasting, Britain’s biggest Pay Television Broadcaster, won a Trademark infringement battle for the name “SkyDrive”. Click Skype Contacts in the “Add people to chat with” section of the messaging pane that appears on the right side. Now here’s the fun part. If you already had a Skype account, you can merge then by simply signing in with your existing Skype credentials. Otherwise you’re a new member, and Skype thus avails you of the choice to make one right then and there. Calling is also straightforward as before; select any of your contacts in your Messaging Pane and Skype will do its usual thing and connect you to your called party, with the call being displayed in a pop-up window. I suspect they’ll eventually make a Browser integration for Tablets and smartphones, thus making Skype universal on any device with a Browser. But we’ll wait and see as this battle to kill International Calling Plans provided by Telecom Providers as explained in How to set up an International Calling Plan for Digicel or LIME Prepaid and Postpaid expands.